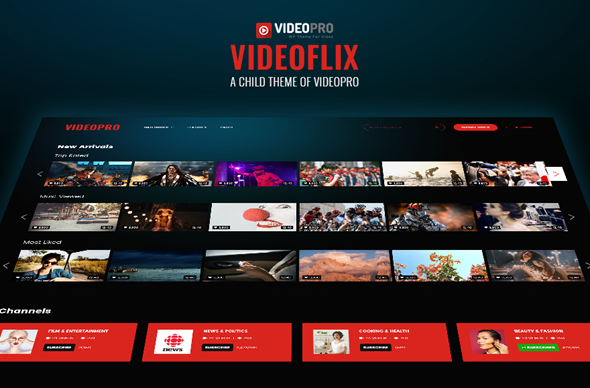 Welcome to VideoFlix! This guide will bring to you an overview of the theme as well as some quick steps to use it. First, please check out some requirements. Once activated, Admin users will see the blog at the front page. You can start writing posts now by going to Posts > Add New. Meanwhile, there is only a blank page for Guest users which informs that "Welcome page isn't available now". Please go further to know about this page and how it works. Step 1: Create a new page in Pages > Add new, build page content as you want (it's better to use Visual Composer to visually add content), and Publish it. Step 2: Go to Settings > Reading > Front page displays, choose A static page, then in Front page option, select the "Welcome page" you have just created. Save the changes. Featured video is shown up at the Header of Homepage. When you create or edit a video post, in Featured Video section, select Yes. If there a many Featured Video posts, it will take the latest Featured Video to display. In Homepage, the Main Body displays the Thumbnail images of Video post by Categories. Go to Appearance > Theme Options > VideoPro NetFlix and enter your numbers.  Go to Posts > Taxonomy Order to rearrange the Categories which are showing in Main Body area of Homepage. It's so easy, just drag & drop as you want. 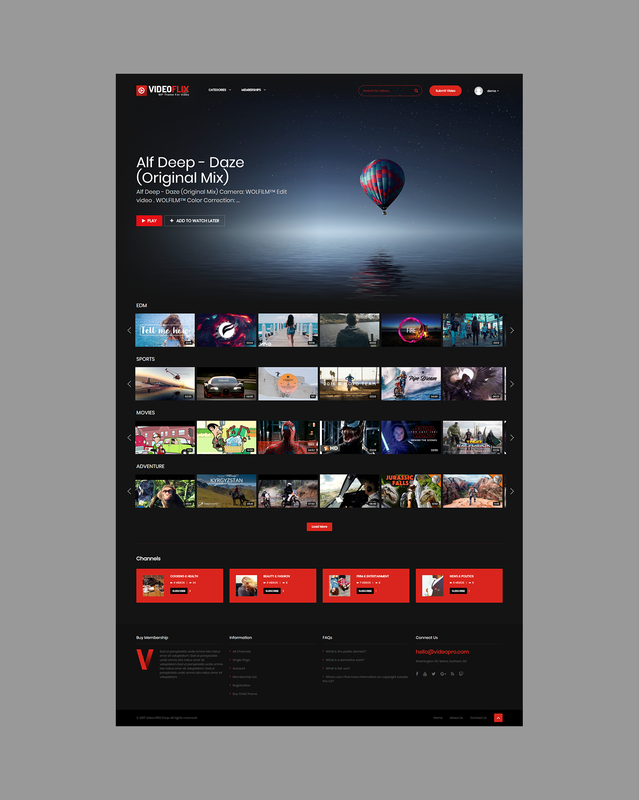 Netflix provides less sidebar positions than its Parent theme - VideoPro as follow: Top Channel Sidebar, Footer Sidebar, Footer Welcome Page Sidebar and some other sidebars. Below are the instructions to configure the sidebars look like our demo. Just drag & drop any widgets into your footer sidebar to show information as you want. We used Text, Custom HTML, Custom Menu & Videopro Social Account widgets for our demo. 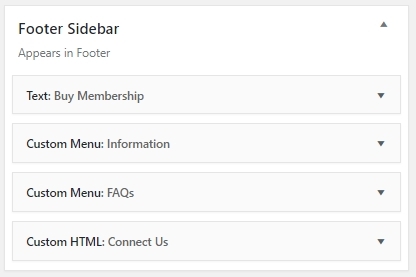 Similar to footer sidebar, but it is shown only in welcome page when users are not logged in. We used Text, Custom Menu & Videopro Social Account widgets for our demo. To change this section, go to Appearance > Widgets and drag widgets in/out of Left Sidebar. 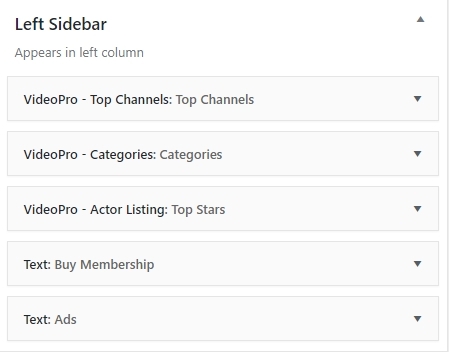 VideoPro- Actor Listing widget to show Top Stars section. Some Text widgets with shortcodes to dislay the AD banner and Buy Membership. To change this section, go to Appearance > Widgets and drag widgets in/out of Top Channel Sidebar. To configure this section, go to Appearance > Widgets and drag widgets in/out of Right Sidebar. You can choose displaying left sidebar or right sidebar or both of them. To enable/disable this button, go to Appearance > Theme Layout > Search Box on Header. You can configure the menus under Appearance > Menus. For Custom Menu, you can show them on any sidebars by using Custom Menu widget. When installing Videopro Netflix child theme, it also has several specific options that you can use in Theme options panel. 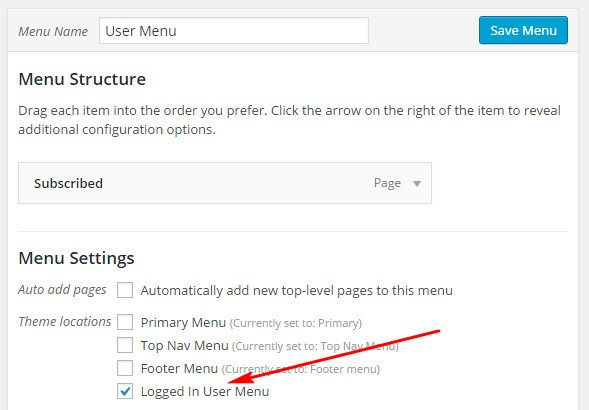 Q1: How to configure Login Page & User Menu? A1: Please go to Theme Options > Videopro Netfilx > Login Type - Welcome Page, select Show Popup to quickly have a Popup Login form. Q2: Where can I configure Submit Video button? Q3: How can I use membership features? Q4: How to get Watch Later & Subscribed Channel pages?